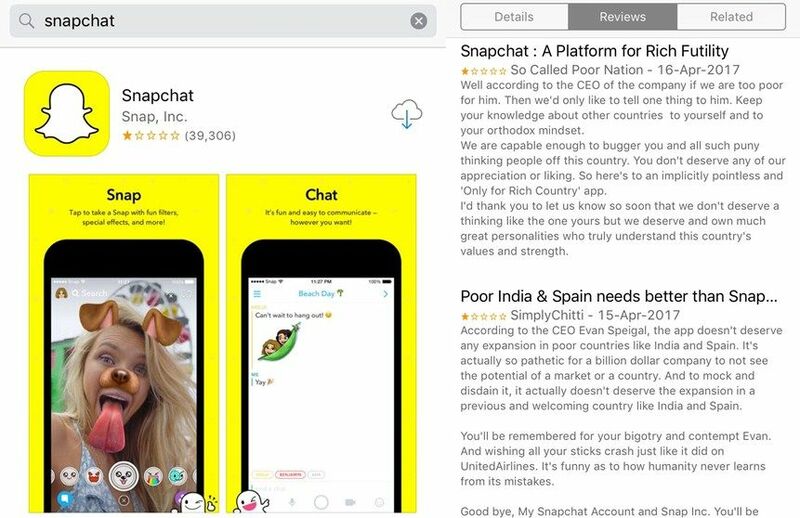 Snapchat CEO Said, "India Is Poor" : Really? 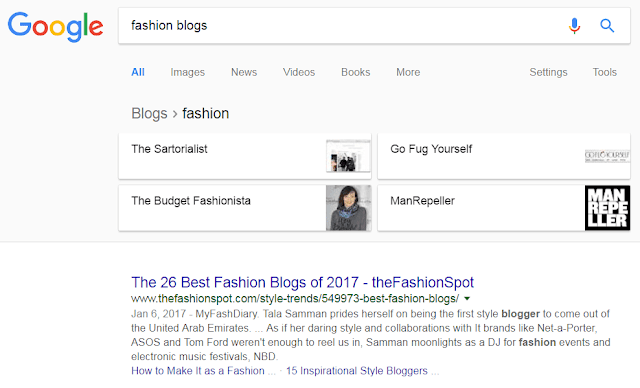 Google brings another snippet option in their search result. 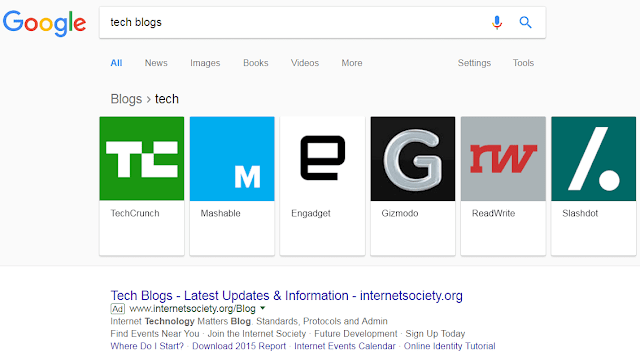 Here they categorized all blogs and here are the results if you write tech blog in the search box and search it. Same for a food blog, beauty blog, health blog, and much more. 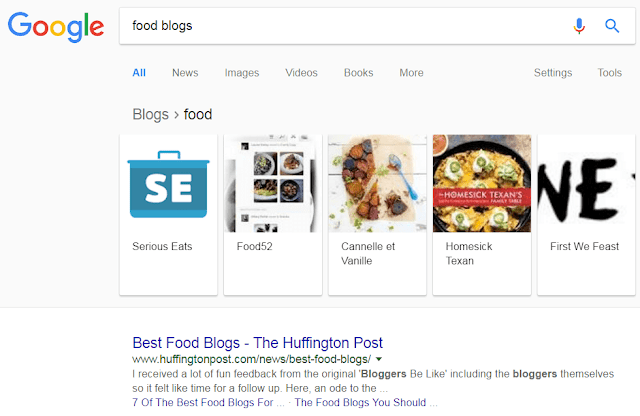 It seems like, when you need just one liner answer from the internet, there will be no need to visit any website near future cause you will get the answer from the google search page snippet. Snapchat CEO mentioned India as a developing country and everybody losses their mind. Their only and only slogan is to go PlayStore, download Snapchat, rate it as one star and then uninstall it. I don't know why we can't accept the truth. Yes, our country is a poor country. Though we have billionaires in our country like Mukesh Ambani and all, still its a developing country if you consider the overall economic condition. If you ask me about this situation, I will say he is nothing wrong. As an online marketer, I know the marketing opportunity in India. Whenever I work as a media buyer, I hardly target Indian traffic. My main target is always tier 1 countries like United States, United Kingdom, Canada, Australia, France, Germany, etc. Why because tier one country has a great tendency to convert well. They purchase things most from online. If you check the Adsense CPC, you can feel the same situation there. For the same niche, we get 2-3 rupees per click from Indian traffic, whereas US traffic gives 20-30 rupees per click. Ten times higher than Indian CPC. So whenever we start working on any niche, we confirm first that the traffic will come from tier one countries. The Snapchat CEO thinks like that, and he doesn't give any priority to Indian market. So what? And moreover, he didn't announce this publicly. He told that during their official meeting in 2015. Its a kind of overreacting which we should not do this for such a matter. Keep calm and do your job. It's also the truth that Evan Spiegel never said that officially. It is claimed by an ex-employee who has been fired from Snapchat. When Spiegel is asked about the matter, he completely denies this. Meanwhile, some Indian hackers disclose personal data from 17 lakh Snapchat profiles; it's their way of protest. Though Snapchat team says that they are grateful to whole Snapchat community all around the world including India. Let's see what happens next! IIT Kharagpur's few students are in the way of developing a Bengali search engine. As you know if you search some Bengali term in google it shows the English results. Though google improves a lot for regional language like Hindi. 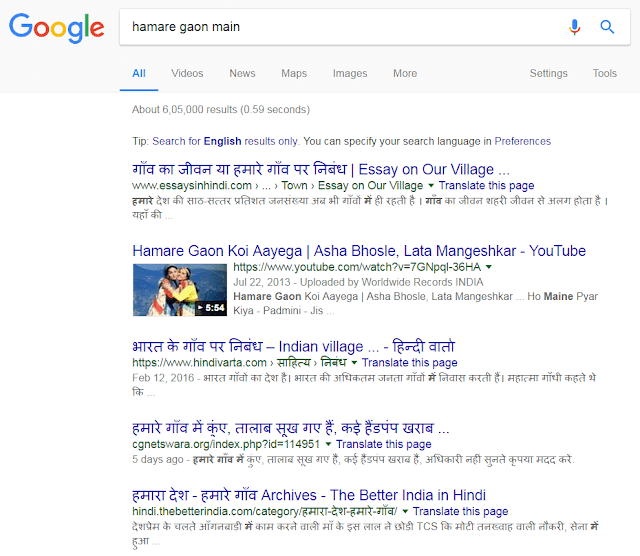 Now if you search for any Hindi term, google will show results in Hindi instead of English. I think they can wait for few more years as google Bangladesh will develop that. If you are a Bengali, you may know how much they use Bengali, everywhere. YouTube, blog, Facebook. my favorite writer is also from Bangladesh. his name is late Humayun Ahmed. 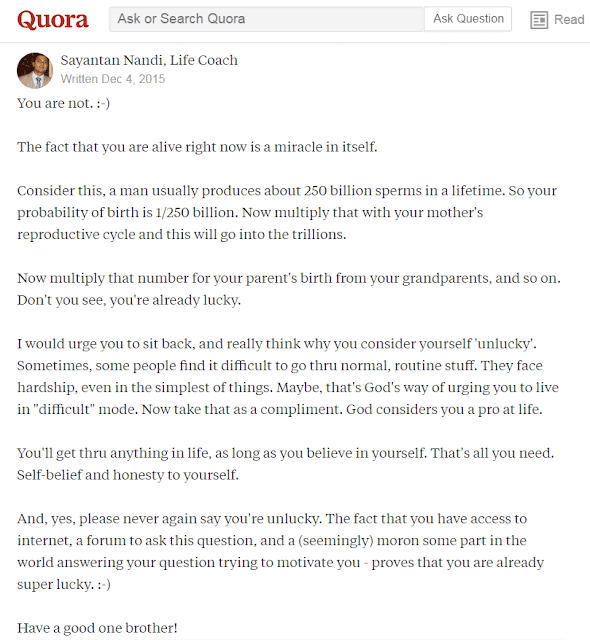 A person asked in Quora,"Why I'm So Unlucky?" without describing any of his present situation. may be he is in financial trouble of may be he still have no girlfriend, so the question is very straight forward. This is really hilarious. Here is the answer he got. Few day a got I went through an line, which seems very interesting to me. he author said, the web does not need more content. which is needed is to arrange data together and serve in a good way, so the visitors find this useful. It is really a good idea. If we try to merge all the data for a specific post, the post will be really useful to visitors. There is a blogger named jenny who blogs for herself. according to her, “I wrote for the Houston Chronicle, but I needed an uncensored space to say the f-word and talk about ninjas so I started this blog.” Is not it sound interesting? Now you can even earn money by walking. Yes, there are few apps which give money to their users just only for walking. You can set a target there like 30 minutes or 10000 steps. There are some more apps also those pay their user for certain activities like watching YouTube videos, purchase products from local shops. for details you can check this list. It is pretty interesting. Have you heard any latest news about GTA 6? According to Techradar, it's on pre-production. There is a possibility to shift the city from united states to Tokyo, Japan. 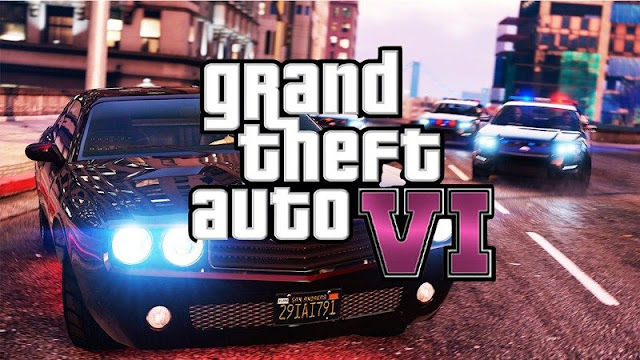 When the Rockstar president has been asked about grand theft auto 6, he said, “We don’t know what GTA 6 will be, but we’ve got some ideas". Rockstar Games is currently busy with Red Redemption 2 launching, So it is expected that GTA 6 will not release this year. The expected launching year is 2018 or later. Even GTA 6 release date PS4 is not confirmed now. I'm eagerly waiting for this game. I hope my GeForce 970 is enough for that game, but I need a 4k monitor this time for better view and more ram to play smoothly. I also have to change the processor. I need a i7 processor for GTA 6, anyway let the game to be released and them I'll see. Okay. No more today. If you have any question related my post, feel free to ask me here. Just do drop a comment below the box. And if you like my blog, my blog posts, then i'll request you to share these posts with your friends via your social profiles like Tweeter, Facebook, Google Plus or LinkedIn. cause sharing is caring. Take care. Have a nice day.